One of my favourite YA writers, Tabitha Suzuma, is hosting a Spine Poetry Competition on Facebook. I thought it will be fun to participate. 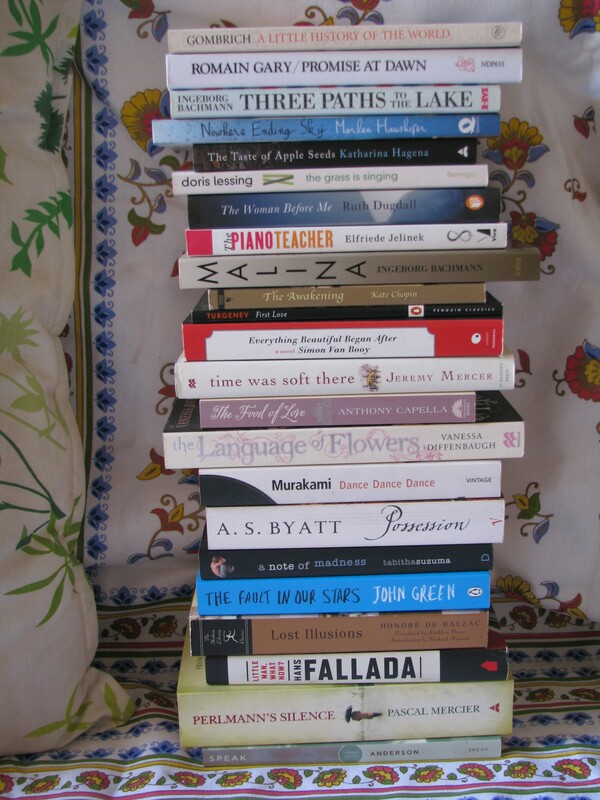 To participate we have to compose a poem using book spines of the books we have and post a picture of the books together. I totally enjoyed composing my ‘poem’. As it is German Literature Month, I thought initially that I will compose the poem using only German books, but after a while the story-poem took a life of its own and I had to get a little help from friends 🙂 Here is my story-poem.